Entrepreneur reports the Amazon Prime subscription service has more than 80 million members in the U.S. alone. That’s 64% of all American households and that number doubled from 2015. The same article says that non-prime members spend an average of $700 each year. Prime customers spend $1,300 annually. NChannel says that Amazon has 310 million customers currently. NChannel also says there are more than 12 million products for sale. If Amazon Marketplace is added, that figure jumps to 353 million. It’s clear that not only is Amazon a powerhouse e-commerce platform, it has a plethora of products that people seem to want. That makes having an Amazon gift card a very desirable event. We’ve found 20 quick ways for shoppers to earn an Amazon gift card. Here’s how to cash in on the Amazon experience. Let’s start with Amazon. The Amazon MTurk program links companies with consumers that perform simple tasks that help programmers create artificial intelligence programs. For example, a human is still much better than a computer as classifying types of pictures into groups. Amazon gives people a way to do these simple tasks and earn rewards, but it is a valuable service for companies or computer programmers seeking help with basic tasks. So, humans can be hired to moderate the content on websites, classify satellite imagery, find a picture to represent a product, clean up a database, or tag objects on a website to improve advertising and SEO – to name a few of the tasks on the site. 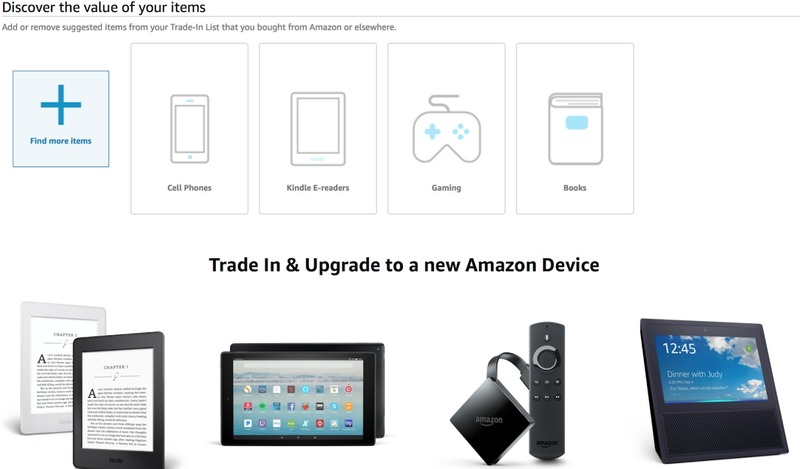 Many people that frequent the Amazon site don’t realize they offer cash back by trading-in consumer electronics, books, video games, and more. Payment comes in the form of an Amazon gift card, of course, but there’s more good news – shipping is totally free. 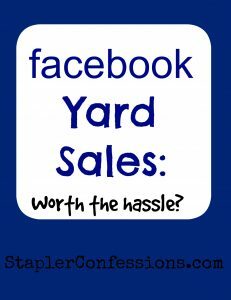 For people with a closet full of old electronics, this is a really good deal. 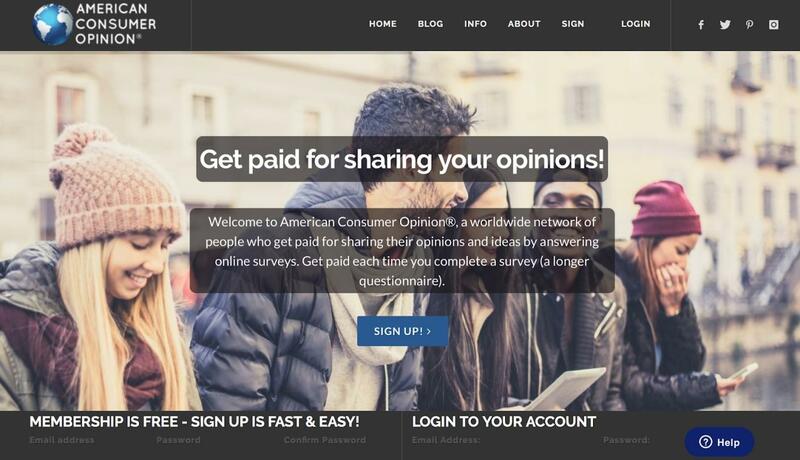 For people with an opinion (these days that’s everyone), sign up for American Consumer Opinion to earn while completing surveys and opinion polls. It’s free and each survey takes around 10 minutes. Why not try this during the office lunch hour? Try packing lunch to save cash and then taking surveys while munching on bologna and cheese. It’s an easy, fun way to earn an Amazon gift card quickly. Bing isn’t Google, but it does the same thing. This search engine rewards people just for using it to query the Internet. Signing up and logging into the rewards portal lets users earn points just for surfing, playing games, or performing other tasks. Statista suggests this strategy is earning Bing some market share points; they say, “Despite Google’s dominance of the U.S. search market, it is Microsoft’s Bing service that leads in terms of longer search queries.” For users, the big reward comes in the form of an Amazon gift card or other prizes. 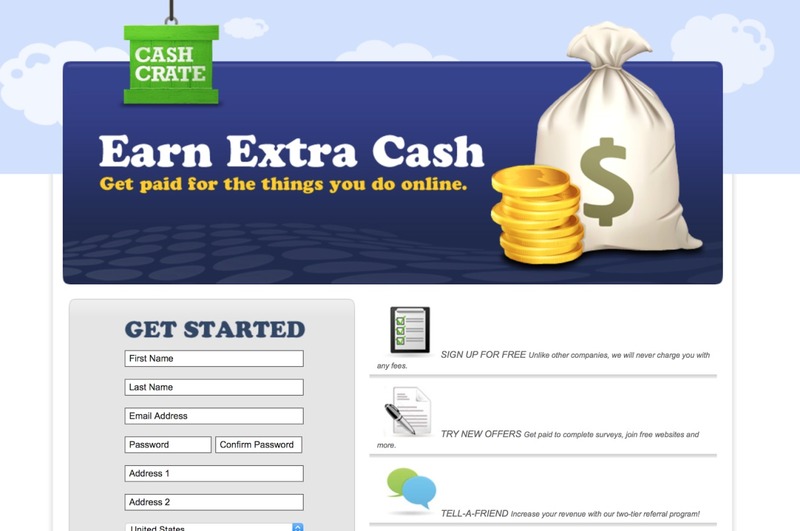 Cash Crate is another no-frills site that actually does reward consumers. 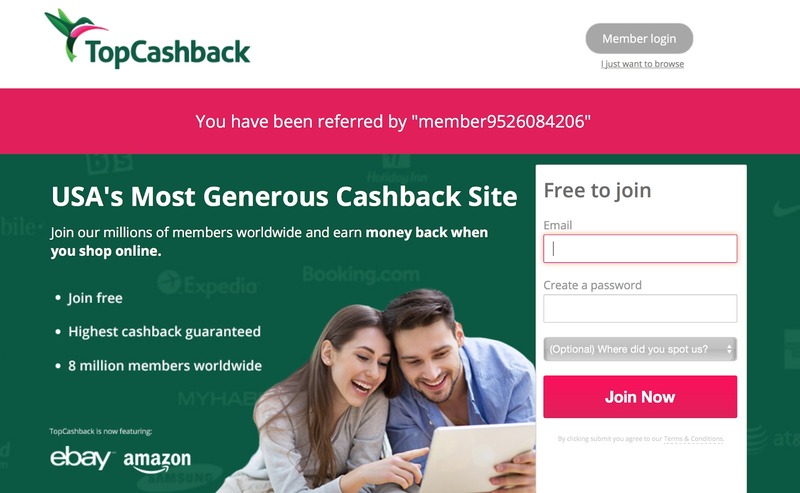 While they only have around two million members, the people that use the site actually highly recommend it as a good rewards program for simple tasks like taking surveys. It’s a really good site for stay-at-home Mom’s and Dad’s that want to earn Amazon gift cards or checks, for that matter. With more than 1,500 retailers listed, members can shop online at the stores they already visit most often, including Amazon, Walmart, Starbuck, and Target. Answering surveys are much more pleasurable than scrolling Facebook, so why not sign up and put all that free time to use? Since most people watch videos all the time on their favorite device, why not earn points for doing it? Signing up for other new services is a lucrative process at ClickPerks. Members can also conduct web searches on Yahoo! and earn rewards. Members can play games and earn points as well. 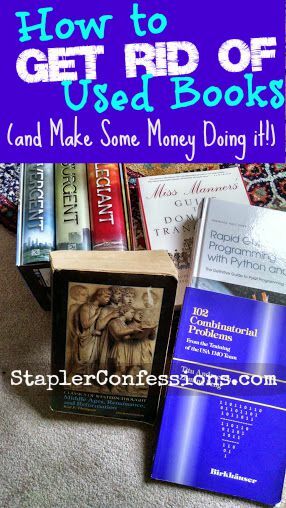 For people that shop with a credit card (who doesn’t? ), selecting a card that provides cash back on everything the member purchases is a very smart move. Some credit cards actually send a check at the end of the year, while others allow members to select an Amazon gift card instead. Discover, Citi, Wells Fargo, Chase Freedom, Capital One, and American Express all have cash back features. Dealspotr is a promo code site where regular users can earn Amazon gift cards just by sharing hot deals and discounts. This makes the promo codes and discounts on their site extremely accurate and up-to-the minute – something that can’t be said about their competitors. Any time you receive a promo code in your email inbox that you’re not going to use, share it on Dealspotr to earn points. Someone is going shopping, after all, and can use the code even if you aren’t. But it’s a win for you too, since for every deal you share, you’ll earn points that can be traded in for an Amazon gift card. 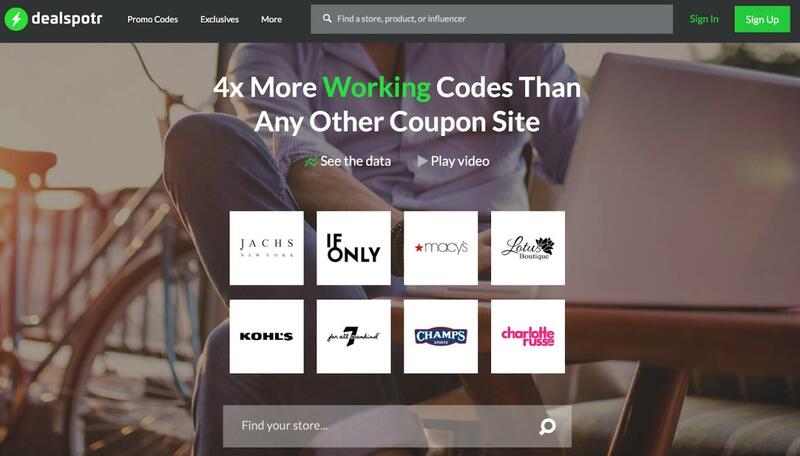 Even if you just use a promo code on Dealspotr, and verify that it works, you can earn points with just a few clicks — it’s that easy. Gift Hulk is an awesome way to earn rewards as Amazon gift cards. This is an instant rewards system that sends a gift card as soon as the user completes a variety of guessing games, surveys, and more. The Global Test Market is one of the fastest ways we’ve seen to earn a $5 Amazon card. After all, each survey taken on Global Test Market is worth up to $5. That adds up fast. 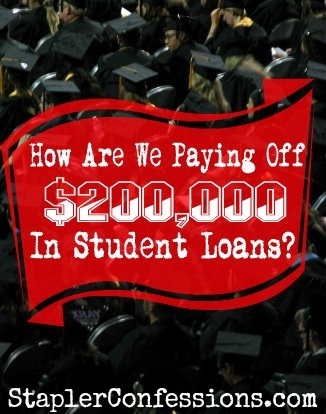 There is even a sweepstakes that gives out $2,000. Registration is free and a few survey questions up front helps Global Test Market figure out the best surveys to send. Global Test Market says they’ve paid out more than $32 million in gift cards. 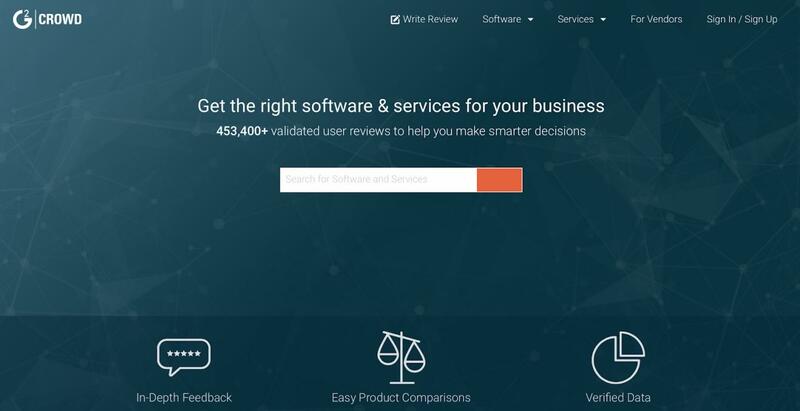 G2Crowd rewards users that leave reviews of the software you use. Many of the software companies pay cash back in the form of an Amazon gift card. To do this, the user must sign up with their existing LinkedIn account. Worth checking out! 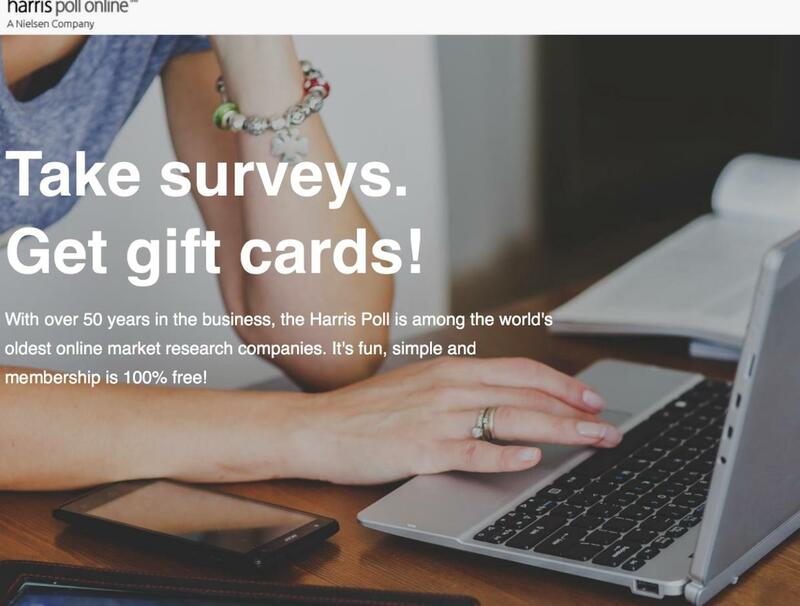 Harris Poll Online was one of the original survey sites. With a 50-year track record, it is one of the more reputable and trustworthy sites to help members quickly earn their Amazon gift card. The prestigious national survey firm, Nielsen, owns the company. 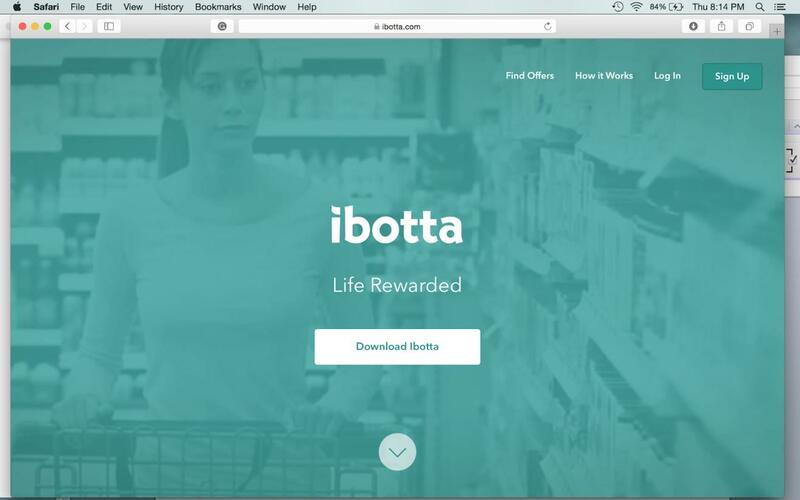 Ibotta rewards members for shopping, like a lot of sites do. However, how it works is a little different. The first step is to download the app and link the store rewards card that the member will use when shopping. 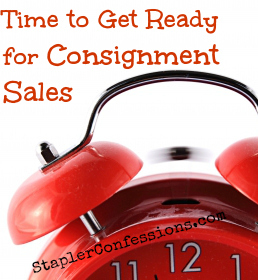 Next, perform simple tasks and receive great deals on products. Pick the discounts and then go shopping. At the end of the shop, take a photo of the receipt. Ibotta credits your linked rewards card with the discounts selected. Members can receive an Amazon gift card for their efforts. Inbox Dollars is exactly how this site rewards their members. Just by signing up, earn a $5 Amazon gift card – fast! 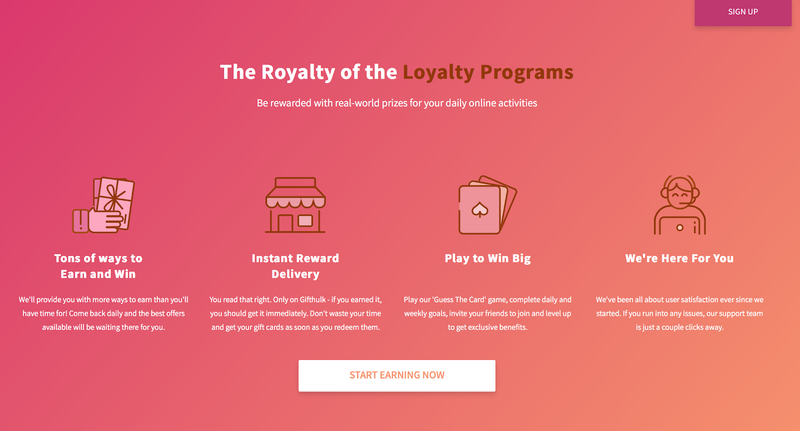 Inbox Dollars works by sending surveys, invitations to play online games, opportunities to earn points just by surfing the web or reading emails – and more. 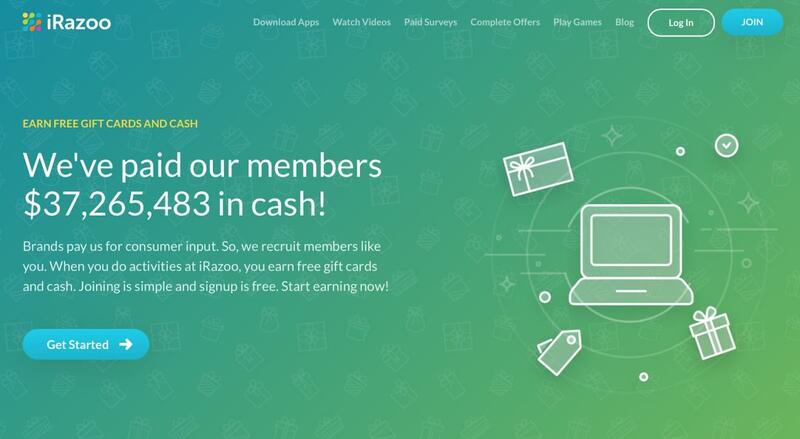 iRazoo is a cool site that lets members earn points for watching TV or videos, doing surveys, playing games, and more. 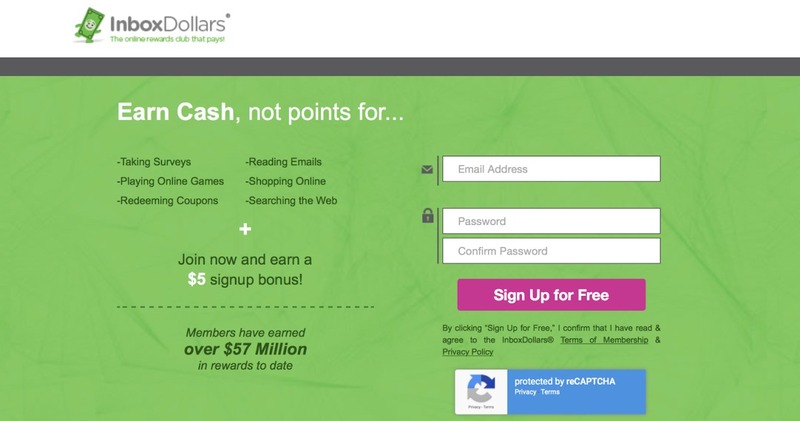 For every 3,000 points or so, members earn $5. Yes, this is possible to do in a day. For people that hit the site every day, that’s a potential $1,825 a year in Amazon goodness. What’s not to like about that? MyPoints is a fun way to earn Amazon gift cards. Their website says there are 10 million members that have received more than $236 million in gift cards and PayPal cash since the site was launched in 1996. 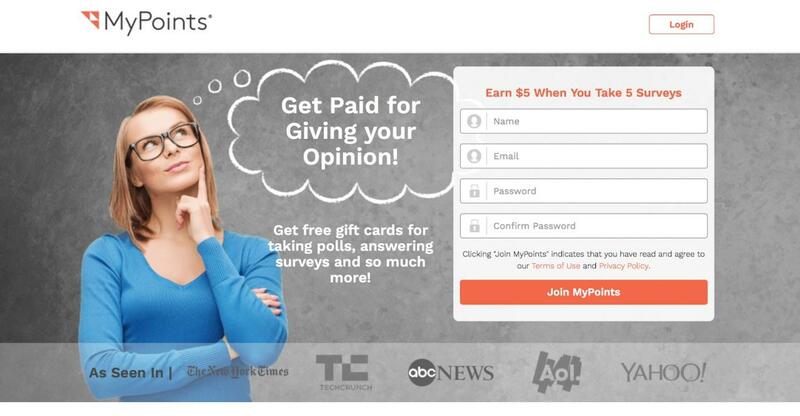 For every five surveys, the member earns about $5. That can add up quickly into an Amazon gift card of $25 or more. Opinions are something everyone has, but Opinion Outpost gives members something they don’t have enough of – and that’s an Amazon gift card. Like a lot of the sites we’ve covered, Opinion Outpost surveys their members on a variety of topics, from entertainment to politics to household habits. 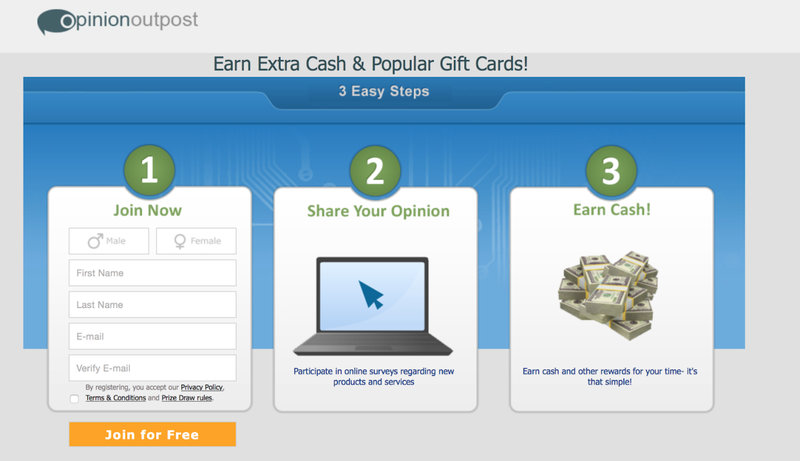 This is a simple, no-frills site that offers real rewards. 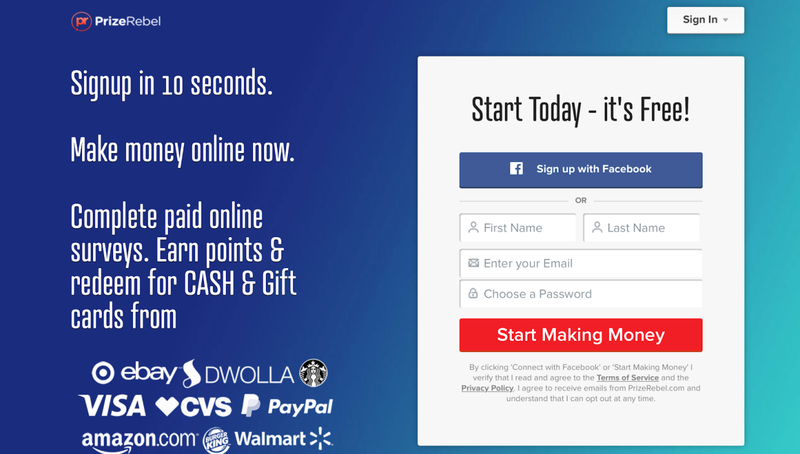 Try doing just a few surveys every day and see how fast the points add up. PrizeRebel is one of the fastest signups we’ve ever seen. It literally takes about 10 seconds to signup. Users can immediately start completing surveys and we confess it’s kind of addictive. The website says it has 7.5 million users since PrizeRebel kicked off in 2007. They’ve paid out $15 million to members, too. Product Report Card is another free survey site where users can earn points just for reviewing products and sharing opinions. Just create an account and sign-in regularly to start earning points toward a free Amazon gift card. Saving Star is another great way to earn rewards just by grocery shopping. Everyone has to eat, and Saving Star offers an easy and fast way to earn points toward an Amazon gift card. Just link the grocery rewards card from the stores you frequent most often. 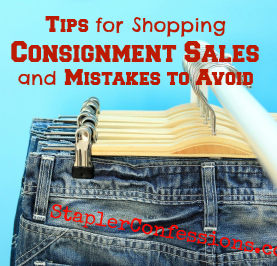 Look for rebates, and then shop for those discounted items. Just use the regular store rewards card to earn cash-back. 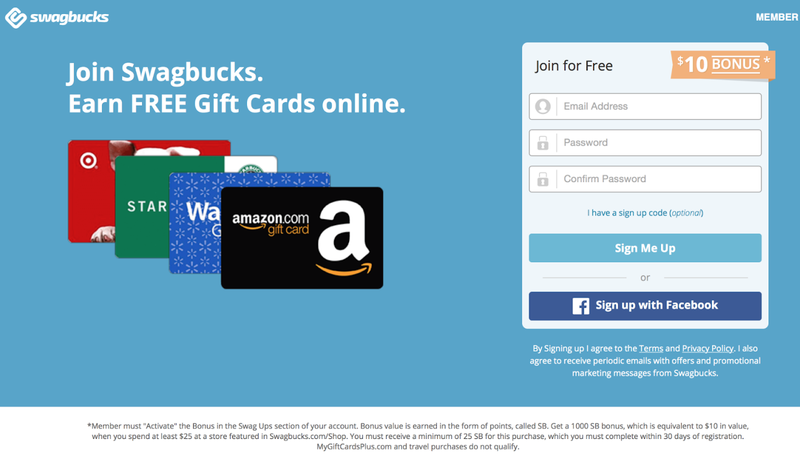 No listing would be complete without mentioning Swagbucks; it’s one of the most popular online sites for earning cash-back. In fact, the site says members have earned more than $279 million in free gift cards by surfing, doing surveys, watching videos, or other simple tasks. TopCashBack actually does what it says. It’s a good site for anyone that shops – period. Signing up for membership is totally free. Then use their query feature to search the site for discounts as stores their members frequent. Click through to the retailers selected and apply the discount they’re offering. The final step is when the retail pays TopCashback a commission for that click-through, which is then applied as a credit to the member. Earn enough credits and trade them in for an Amazon gift card. It’s an extremely easy and fast way to earn and save. 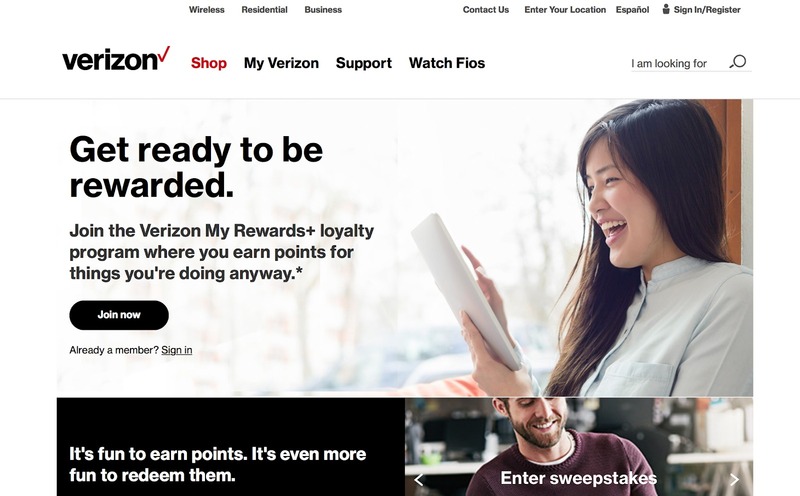 Verizon My Rewards is a cash-back program designed to put money back in the pocket of their customers. For every $300 spent, a point is earned. Each one credit equals one reward, which could include an Amazon or Starbucks gift card, free three months of HBO Now, $10 off a new device – and more. The rewards change, but the Amazon gift card has remained the same throughout the program. 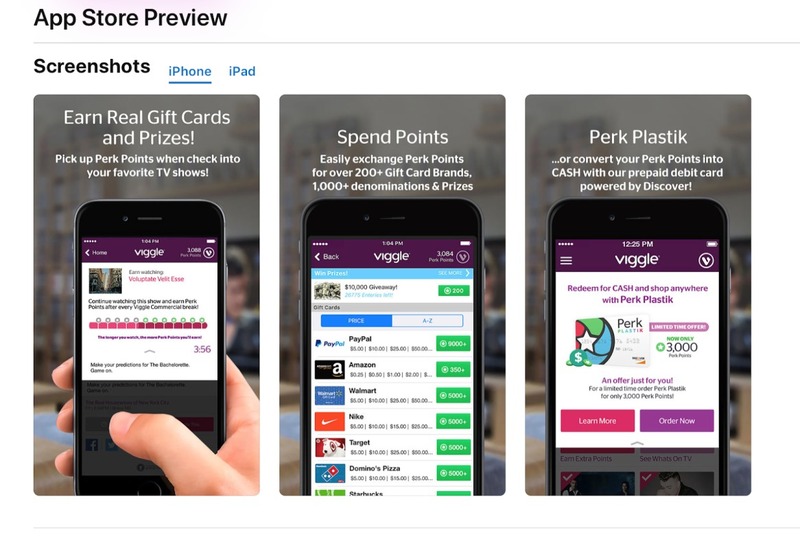 Viggle is a free iPhone app that rewards members for watching TV on their smartphone. For most people, that’s something they do frequently, so this app isn’t a bad idea to check out. Just check in when watching a show and points accrue automatically. It’s an interesting idea that pays out in Amazon gift cards. We know that it’s a cliché to say that Americans are time-pressed. In truth, most of us waste a lot of time surfing the Internet. We also spend a great deal of time shopping online. This article covered some of our favorite ways to put free time to good use in ways that can quickly add up to Amazon gift cards. Whether shopping or surfing, each of these websites gives people a chance to make good productive use of the things they do everyday. At the end of all that clicking is a free Amazon gift card. Now, let’s go to work.